In memory of Sally Gross ISSA (Intersex Society of South Africa). 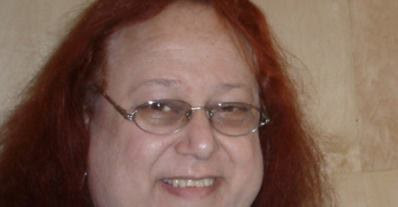 It is with much sadness I report the tragic news of the untimely death of intersex pioneer, activist Sally Gross of South Africa. I first met Sally at a retreat organised by Max Beck in America in 1997. At the time Sally was living in England and returned not long after to the country of herm birth place. Sally was gentle with a huge heart, had a wonderful sense of humour, was quietly determined. She was successful in achieving legal recognition of intersex in South Africa. Sally was an open and out intersex person, fierce about her desire for change. She spoke with great candidness about her life and its many challenges. She is one of the stars of the internationally acclaimed documentary intersexion. She was a friend, a mentor, a person I respected a great deal. We last spent time together at the first ilga organised and funded world forum in Brussels in 2011. We spoke to each other often on skype. Sally I will miss you, I mourn your passing. Planet earth has lost a true treasure.